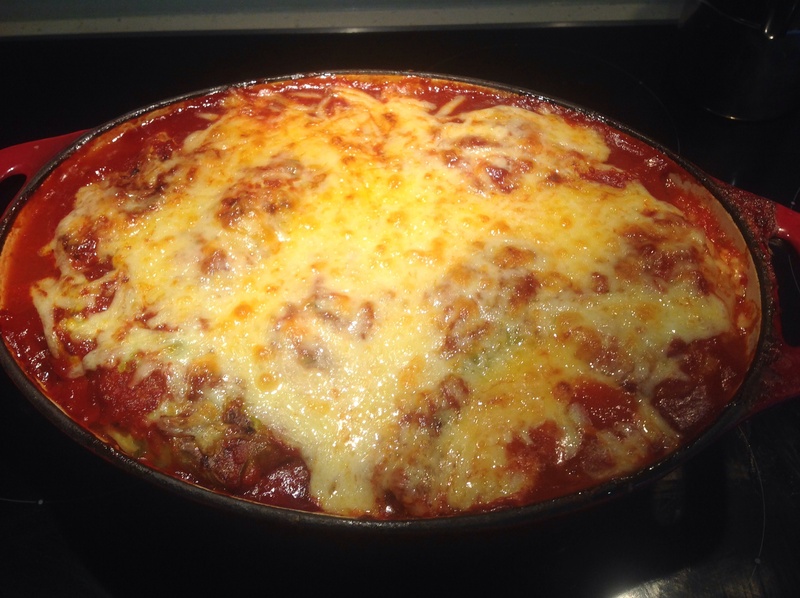 Baked cabbage rolls in capsicum/ tomato sauce…. Baked cabbage rolls with mince and brown rice. 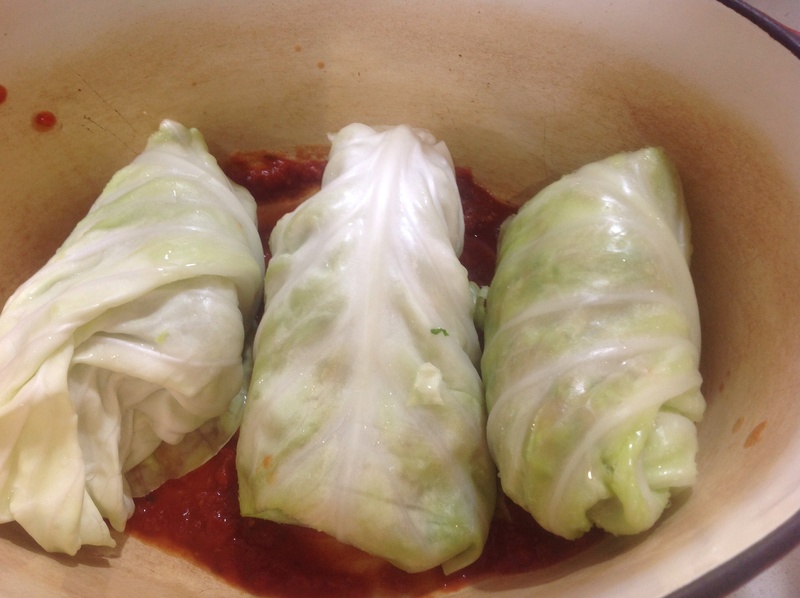 These tasty cabbage rolls are really easy to make. Simmer on the stove for approx 15mins. Place the head of cabbage in boiling water and simmer until leaves are pliable and easy to roll. You can take the leaves off the outer cabbage one by one as they cook. 1/2 cups of celery leaves and stalks. Place a couple of spoonfuls of tomato sauce in the bottom of a casserole dish. 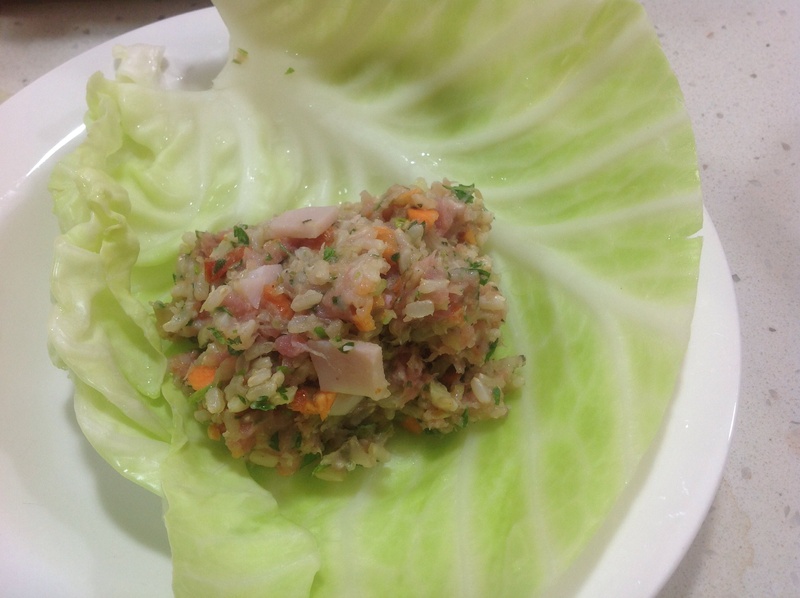 Place a handful of filling in the cabbage leaves, roll up and put in the casserole dish. Repeat until all the casserole dish is full. Pour the remaining tomato sauce around the cabbage rolls and cook on 170 degrees for about approx 50mins. After 50mins, grate some cheese over the top and cook for a further 10/15 mins. 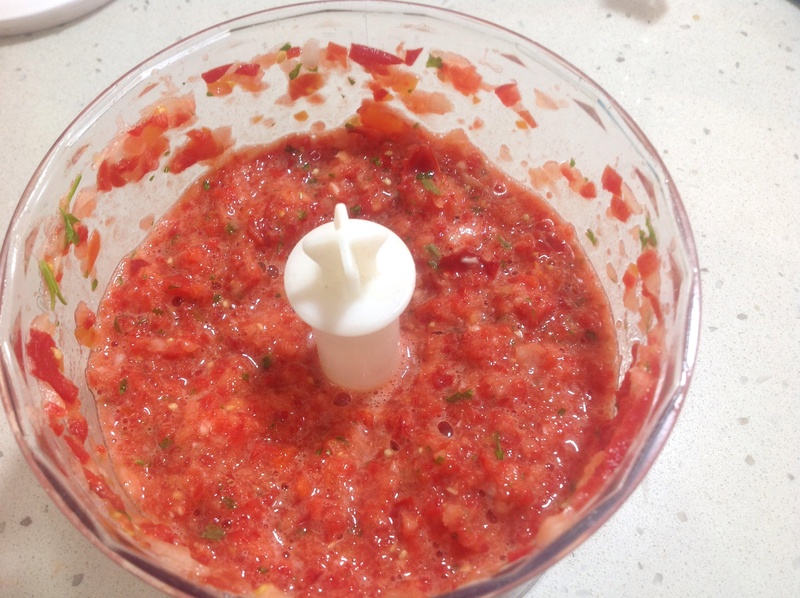 Place tomatoes, capsicum, onion, garlic and herbs in the blender, pulse till smooth, simmer on the stove for approx 15mins. 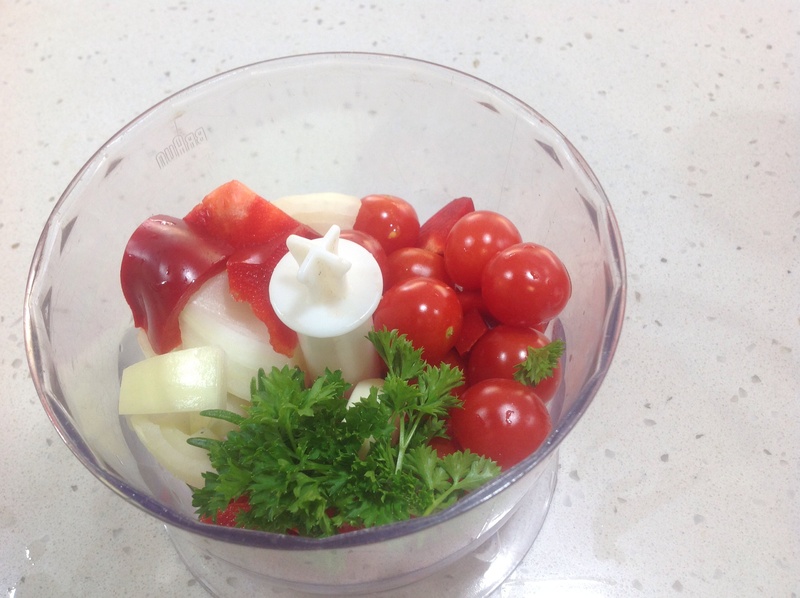 Tomato,capsicum, garlic and fresh herbs. 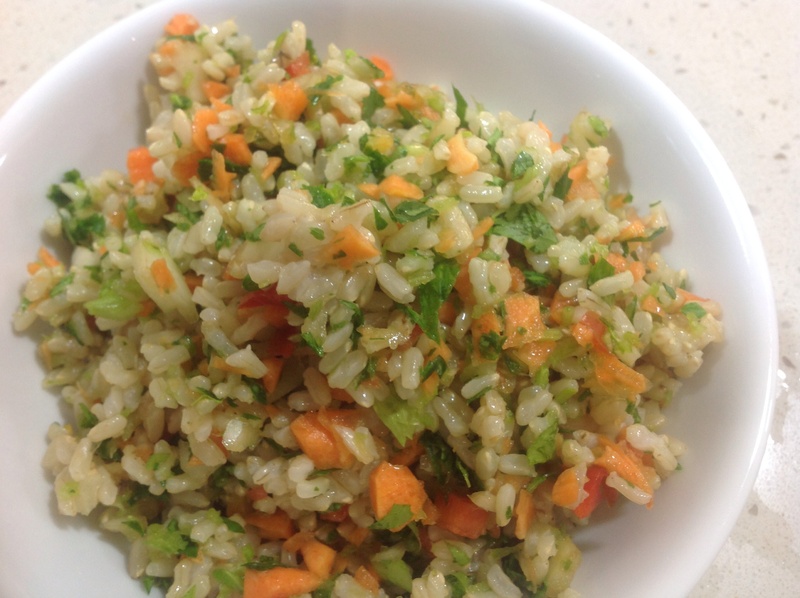 Brown rice with chopped carrot, celery sticks and leaves. 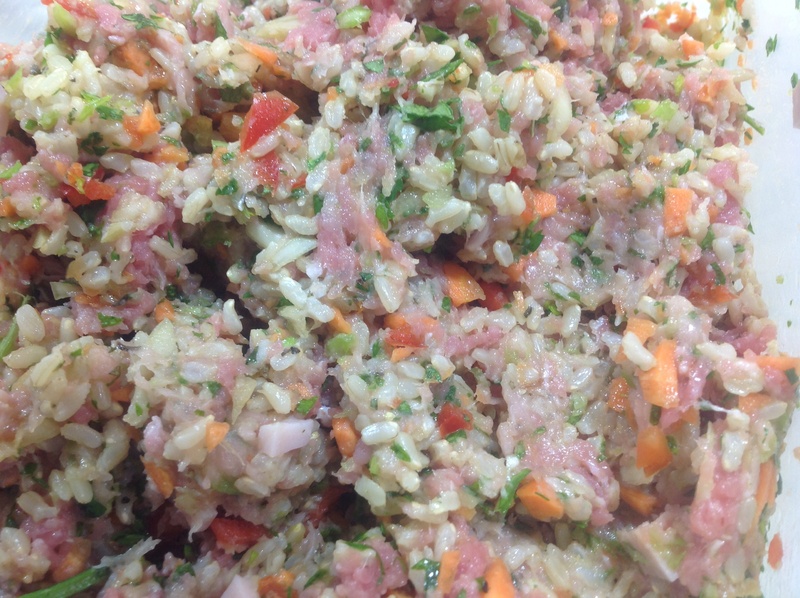 Rice/ mince filling for cabbage rolls. Filling the cabbage lease this rice/mince.